Two CEO advisers walked away from President Trump on Thursday. Disney (DIS) CEO Bob Iger said he will step down from Trump's business advisory council, protesting the president's decision to withdraw from the Paris climate deal. "Protecting our planet and driving economic growth are critical to our future, and they aren't mutually exclusive," Iger said in a statement. 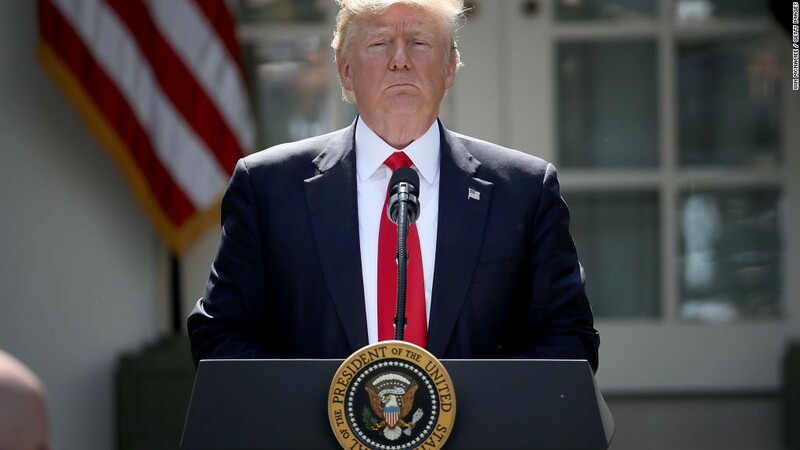 "I deeply disagree with the decision to withdraw from the Paris Agreement." He also posted his decision on Twitter, saying he'd resigned from Trump's business council "as a matter of principle." A few hours earlier, Tesla (TSLA) CEO Elon Musk said he would quit the same panel. "Climate change is real. Leaving Paris is not good for America or the world," Musk said. Iger served on Trump's Strategic and Policy Forum, a group of business leaders who offer the president advice. But he hasn't attended any of the meetings. "I've not been able to attend the two meetings that it has had due to conflicts -- one vacation and one a Disney board meeting," Iger told CNNMoney last week. Iger has aligned with the president on some issues, but clashed on others. The CEO has voiced his support for tax reform, but articulated a different vision on immigration. "I don't believe we can close our borders," he told CNNMoney. "I do believe we need a very strong policy when it comes to security and safety, of course, but I think there's a way to have both." All told, three executives have quit the advisory panel, which was established in December. Uber CEO Travis Kalanick left in February, under pressure after Trump instituted a temporary ban on travel from seven Muslim-majority countries. Top executives have been fiercely critical of Trump's decision on the Paris accord. Salesforce (CRM) CEO Marc Benioff, Microsoft (MSFT) President Brad Smith, Google (GOOG) CEO Sundar Pichai and Facebook (FB) CEO Mark Zuckerberg all took to social media Thursday to express their disappointment.